Nothing hurts more than being away from the family during the holidays. Why not bring them with you while on military training or temporary duty in San Diego? At Foxwood Military Apartments in San Diego, we are proud to host many military personnel during their military time in San Diego. Our off-base one- and two-bedroom military rentals are ideal for any travelling military personnel in addition to their family members. Our fully furnished military apartments are great for spending the holidays together in San Diego. If you’re staying for the holidays, it’s important to feel like your accommodations in San Diego feel more like home away from home. At Foxwood Apartments, you’ll get that same feeling with the upscale furniture, wall art, and loads of functional amenities that fill your military apartment here in San Diego. Also, just minutes away from the 32nd Street Naval Base and Coronado Island helps to alleviate long commutes to work. In addition to a quick commute, it allows you to see more of San Diego by living off base and within close reach of San Diego’s downtown area, Old Town, multiple beaches, and the Chula Vista Bay. Get the best of both worlds with comfortable military housing that feels like home in San Diego and a great location that makes commuting to work a breeze. If you didn’t think it could get any better than this, we offer a special discounted military rate to active duty military members as our way to show appreciation for the work you do to protect our nation. Please visit us online for more details about our apartments, special military rates, and the stress-free commute to Naval bases. Call us today at 866-878-9902 to start your fast and easy application process to get your very own military apartment here at Foxwood! No matter what’s the occasion for your trip to San Diego, you’ll always have a blast exploring the fun town also known as America’s Finest City. With beautiful beaches, eclectic neighborhoods, and fun nightlife, there is always something to do in San Diego. So, if you are in San Diego due to military purposes, just remember that it’s not so bad! 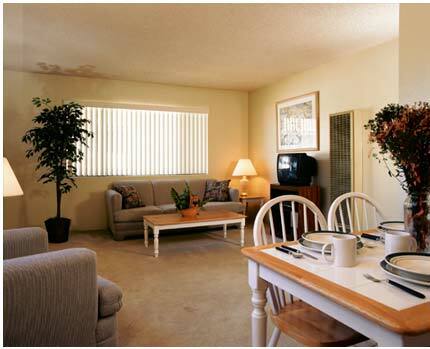 With Foxwood Corporate Apartments’ military accommodations, you’ll wish that San Diego was your permanent home! We also have lots of additional space so you can bring your family along with you. Our Navy and Marine housing provides active duty military servicemen with one- and two-bedroom fully furnished luxury apartments that are designer decorated, loaded with essentials, and all utilities are paid! What’s even better? We also offer a special discounted rate for active duty military members and their families! You’ll be staying at resort-style military accommodations for a fraction of the price! At Foxwood Apartments, you won’t have to worry about lengthy commutes either. Our accommodations are conveniently located near major freeways and just across the street from public transportation, so you can get to work in no time at all or see all of San Diego’s attractions without any confusing directions. For the best in location, price, and accommodations, Foxwood Apartments is second to none! As the most valued military housing in San Diego, Foxwood Corporate Apartments will certainly meet your needs during your temporary military assignment in America’s Finest City. Visit us online for more details about our military housing, included amenities, and to view photo galleries of our apartments. We can’t wait to be your home away from home in San Diego! Nothing feels worse than the holidays far, far away from family and loved ones. Having a warm, comfortable place to call home in San Diego throughout the holidays is more important than ever these days. 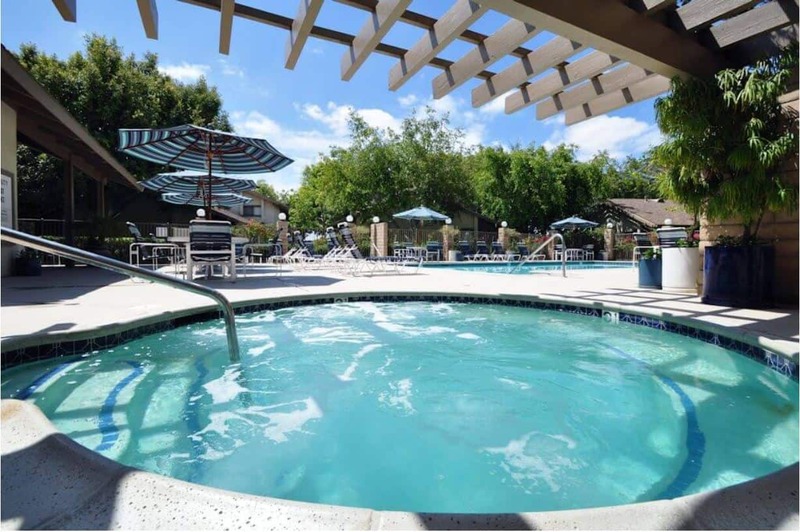 If you’ve been looking for a military apartment that combines the best of home-style living with the luxuries of SoCal culture, look no further than Foxwood Military Apartments. 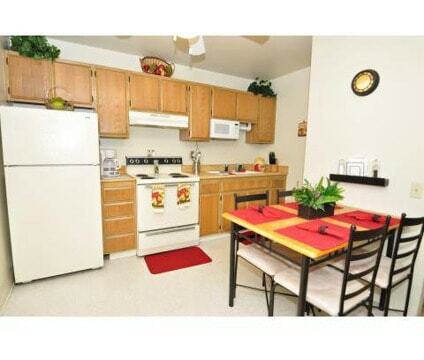 Our fully furnished, off base military apartments are perfect for traveling military members. We have one- and two-bedroom units equipped with all of your daily living essentials, a full size kitchen, incredible views, and so much more! Take a look at the full list of amenities on our website to see what you’ll enjoy during your military stay at Foxwood. In addition to loads of great features, Foxwood Apartments has a convenient location whether you’re heading to work at the Naval bases or Coronado Island or you’re going to explore San Diego hot spots like downtown San Diego, Old Town, and the beaches. Simply hop on the major freeways, located just blocks away from our accommodations, and you’ll be at your chosen destination within minutes. On top of endless amenities and a dynamite location, Foxwood Military Apartments also offers a special military discount on one- and two-bedroom apartments for active duty members and their families. Contact us today for more information about our military discounted rates, room amenities, or our easy application process. 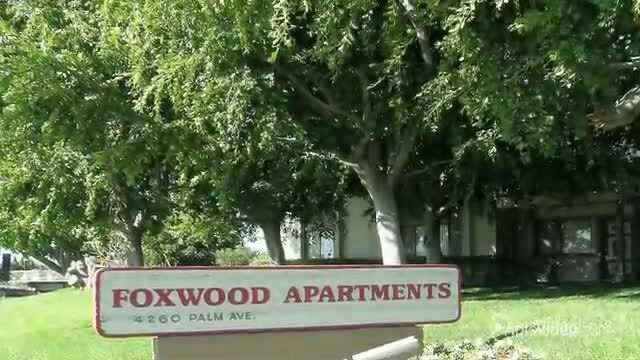 You might have to leave home for the holidays, but you can find home in San Diego with Foxwood Apartments. 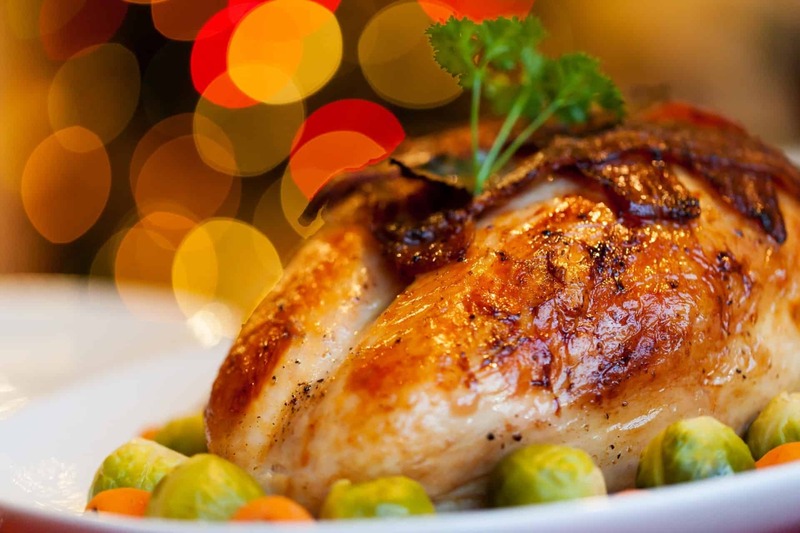 Make San Diego feel like you’re home for Christmas, we’ll ensure your holiday season is nothing short of incredible. Wishing you the merriest of holidays from San Diego’s one-and-only, Foxwood Apartments! A temporary military stay in San Diego may seem like an inconvenience instead of a vacation. Embrace your temporary military stay in America’s Finest City with us at Foxwood Corporate Apartments! We have great military apartments with major benefits, here are just 3 advantages to staying with us at Foxwood Corporate Apartments throughout your military journey in San Diego. When you choose Foxwood Apartments as your off base military home in San Diego, you’ll receive a military discount on your military apartment. In order to show our appreciation for our military forces, we wanted to give back to our heroic guests with a gesture that many will enjoy, especially military families. Please check out our discounted military rates on the Military section of our website! Along with a generous discount, your military housing will be completely stocked and furnished with all the household essentials to start living in San Diego. Our apartments are designer-decorated to create a comfortable and homey feel that so many military members crave while on temporary assignment. 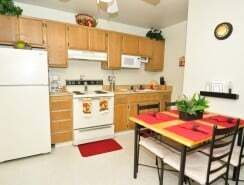 A fully stocked kitchen with cookware and dishware, bathroom towels, quality bed linens, a cable-ready TV and DVD player, and a quaint dinette area are just a few of the amenities you’ll love during your stay with us at Foxwood Apartments. For the military serviceman that’s always on the go, Foxwood Apartments’ convenient location is second to none! Within minutes, you will arrive at the 32nd Street Naval Base and Coronado Island, so a short commute to the bases is always feasible. In addition to a convenient ride to work, you’ll also be situated near the major freeways that connect to downtown San Diego, Old Town, Mission Valley, the beaches, and so much more! Foxwood Corporate Apartments offers great off base military apartments with numerous amenities for a fraction of the cost! Begin our easy application process and we’ll make sure you have a place to call home in America’s Finest City! Contact us today to find out more about our premium military accommodations. Get the best value in military housing when you choose to stay in the beautiful paradise of San Diego. Whether you’re in America’s Finest City for a temporary military assignment, permanent relocations, or military training, our off-base military housing is ideal for a comfortable environment that feels more like home than military duty. You can relax in the lush, resort-style ambiance of our apartments by taking a stroll around the 5 acres of greenbelt garden park that Foxwood is situated on or you can take a dip in the heated pool and Jacuzzi! With military housing like this, you might want to stay longer! Another perk to living at Foxwood Apartments is our convenient location near main San Diego freeways and a bus stop right across the street. In just minutes, you can be at the 32nd Street Naval Base or Coronado Island for work in addition to many cool attractions that San Diego has to offer like the Mexico border, downtown San Diego, Mission Valley, and Old Town. At Foxwood Apartments, we like to cater to our military men and women by offering a special discount with a hassle-free application process. We also like to provide our San Diego military servicemen with all the essentials that are needed during their stay. Take a look at our Amenities to see what comes with one and two-bedroom military rentals at Foxwood. For a military stay in San Diego, no one compares to the price, value, and location of Foxwood Military Apartments. Get started on an application today and we guarantee you’ll have a special place to spend your military stay in San Diego.